We recently teamed up with Love On The Rocks UK who are a nationwide group of rock-painting enthusiasts. This was to run a fun and creative competition over the Easter period. We first were made aware of the multi-purpose use of some of our pebbles and cobbles, such as the Scottish back in February. This was because a painting enthusiast told us she had been bulk-buying our cobbles soley to decorate! Well this got us thinking and after a little investigation we discovered how popular this hobby really was! So it turns out the main UK Facebook group has over 57,000 members! That is a lot of people decorating and hiding rocks! Therefore we have seen some wonderfully creative designs. Some bright and bold, some intricate and artistic and we were keen to get involved. 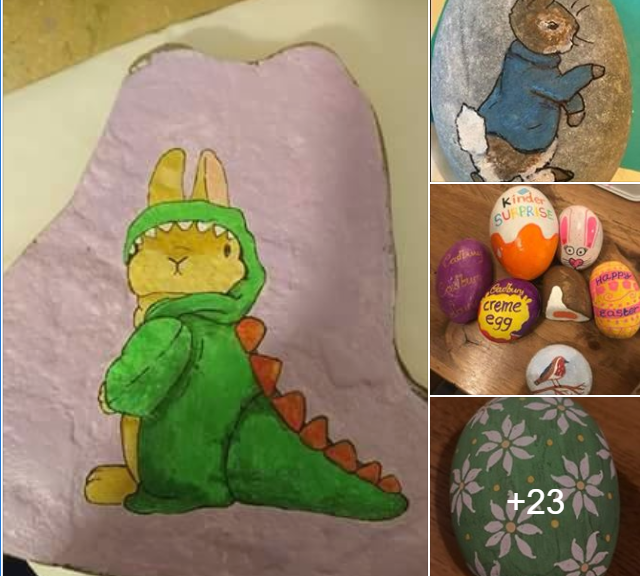 So we decided to run a competition to see what interesting designs people created around an Easter theme. Five winners were chosen at random to receive a pack of Posca Pens, (which we’ve been told are the best pens for painting) and a 20kg bag of cobbles. Click below to see some of the amazing entries we received! Click here to see our range of cobbles and pebbles. Click here to get involved with rock painting.